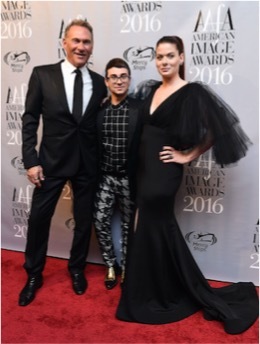 The American Apparel & Footwear Association (AAFA) drew a dazzling crowd of CEOs, celebrities, athletes, and other fashion industry influencers to its 38th Annual American Image Awards, held at the historical 583 Park Avenue event space in New York City on May 24, 2016. Hosted by InStyle Magazine founding editor, Hal Rubenstein, the event supported charity partner Mercy Ships. 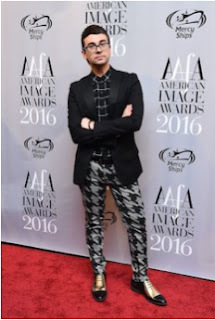 The 2016 American Image Award winners included Person of the Year: Joseph Abboud; Company of the Year: BBC International LLC; Designer of the Year: Christian Siriano; Retailer of the Year: Shinola Detroit; and Fashion Maverick: Iris Apfel. Each received a statuette created by world-renowned designers and artists, Ruben and Isabel Toledo. 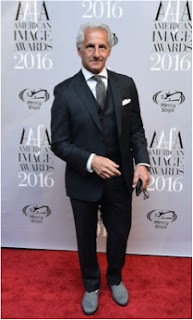 “At the heart of the American Image Awards is our ability to honor our incredible industry, while giving back to a charity partner that will somehow make the world just a little bit better,” emphasized AAFA President and CEO Rick Helfenbein. “AAFA was overwhelmed with the incredible generosity last night, with an unforeseen $100,000 donation to Mercy Ships made in the name of our Fashion Maverick honoree, Iris Apfel.” The generous donation was made by President and CEO of United Legwear & Apparel Co., Isaac E. Ash. 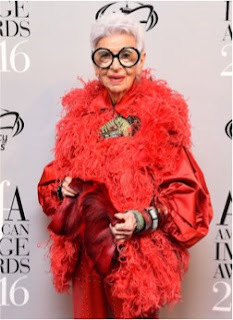 Highlights of the evening included an inspiring speech from Iris Apfel, often called a “Rare Bird” and a treasure of American boldness and individuality, who spoke of her journey from interior decorator to fashion icon. Attendees were given an inside look at Shinola Detroit, a fast-growing brand built in one of America’s most infamous cities. Christian Siriano, who continually intrigues legions of media and fans while he dresses many of the world’s leading ladies, inspired and entertained the audience with his wit and humor. Joseph Abboud, embodying the American ideal of diversity, discussed his journey to become one of the most preeminent menswear style makers. A round of enthusiastic applause erupted as Robert Campbell, from BBC International, took to the stage and was recognized for immense contributions to the footwear industry. Numerous past honorees were in attendance, including Isabel and Ruben Toledo; namesake designers Cynthia Rowley and Ruthie Davis; designer Yeohlee Teng of YEOHLEE Inc.; and Bill Sweedler, Co-Chairman of luxury men’s fashion brand Robert Graham. The event also drew luminaries from the sports world, entertainment world, and respected industry organizations such as the Council of Fashion Designers of America (CFDA), Fashion Institute of Technology (FIT), Parsons School of Design, and Two Ten Footwear Foundation. Representing more than 1,000 world famous name brands, the American Apparel & Footwear Association (AAFA) is the trusted public policy and political voice of the apparel and footwear industry, its management and shareholders, its four million U.S. workers, and its contribution of $361 billion in annual U.S. retail sales. AAFA stands at the forefront as a leader of positive change for the apparel and footwear industry and delivers a unified voice on key legislative and regulatory issues. AAFA enables a collaborative forum to promote best practices and innovation. AAFA’s comprehensive work ensures the continued success and growth of the apparel and footwear industry, its suppliers, and its customers. Learn how AAFA wears our mission at www.wewear.org. Mercy Ships uses hospital ships to deliver free, world-class health care services, capacity building, and sustainable development to those without access in the developing world. Founded in 1978 by Don and Deyon Stephens, Mercy Ships has worked in more than 70 countries providing services valued in excess of $1.2 billion and treating 2.54 million direct beneficiaries. Each year, Mercy Ships has approximately 1,600 volunteers from 45 nations. Professionals including surgeons, dentists, nurses, health care trainers, teachers, cooks, seamen, engineers, and agriculturalists donate their time and skills to the effort. Mercy Ships seeks to transform individuals and serve nations one at a time. For more information, visit www.mercyships.org. Thank you for taking the time to read our fashion industry blog post. We hope that you have found this news to be informative. Learn more about the American Apparel & Footwear Association here on Apparel Search. Many fashion industry influencers attended the event. If you are not sure what that means, you may want to read our fashion influencers term.